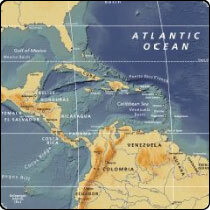 Maps.com supplies customized map products and charts to all of the major government departments and military institutions. The Deparment of Homeland Security, US Army, Air Force, Navy and the United States Coast Guard have turned to Maps.com for clear and accurate customized map solutions designed to their specifications. Click here to learn more. Maps.com is proud to support our government in important work at home and abroad and offers a discreet, efficient turnaround.